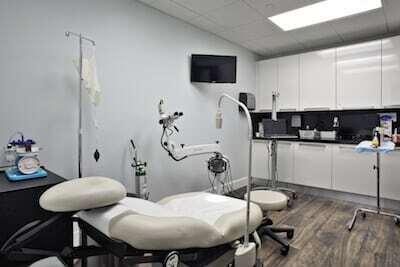 Modern technology has changed the nature of surgery, and Dr. Remberto Santos in Aventura / North Miami has embraced this progression. In decades past, surgery often meant large, open incisions. Laparoscopy, or surgery guided by an internal camera, meant that incisions could be smaller and surgeries less invasive, but laparoscopic techniques are sometimes limited to simple procedures. Dr. Santos uses the da Vinci® Surgical System for complex in-hospital gynecological procedures, which is at the forefront of surgical technology. Controlled by the doctor, this robotic platform allows for greater precision, more exact outcomes, shorter hospital stays, and less trauma to a patient’s internal organs. It includes 3D high definition vision capability and instruments that rotate further than the human wrist. Endometriosis Resection: This procedure removes the uterine lining/endometrial tissue. It is recommended for women diagnosed with endometriosis. Hysterectomy: This is a procedure to remove the uterus. It is a treatment option for various conditions, including endometriosis, vaginal bleeding, and gynecologic cancer. Myomectomy: This procedure is performed to remove fibroid tumors. Sacrocolpopexy: Pelvic prolapse can become severe, affecting day-to-day living. Sacrocolpopexy, also known as prolapse surgery, is a procedure that uses mesh to hold the pelvic organs in their appropriate and natural positions. This procedure is sometimes performed after a hysterectomy. Why Care About a Minimally Invasive Option? Surgery can be traumatic to the human body. Soreness, bruising, and larger incisions can leave you bedridden for days and weeks. Minimally invasive options like da Vinci robotic surgery make complex procedures safer, with better outcomes. Smaller incisions and less disruption of tissues located near the surgical site represent a tremendous advance in medicine. Robot-assisted gynecological surgery is a great choice for women in Aventura. If you need gynecological surgery, Dr. Santos will let you know if you are a candidate for da Vinci robot-assisted surgery. For an appointment, call Aventura OB/GYN Advanced Care in North Miami, Florida at (305) 931-7960 or request an appointment online.